There are many Motown Grapevines, but Marvin Gaye’s Grapevine is considered the best version. It hit #1 on December 14, 1968, It stayed there until January 21, 1969, ushering in the last year of that turbulent decade. Norman Whitfield and Barrett Strong, two of Motown Records biggest writers, wrote “I Heard It Through the Grapevine” in 1966. Smokey Robinson & the Miracles released a version on their 1968 album, Special Occasion. Gladys Knight & the Pips released it as a single in September 1967 and which went to number two in the Billboard chart. 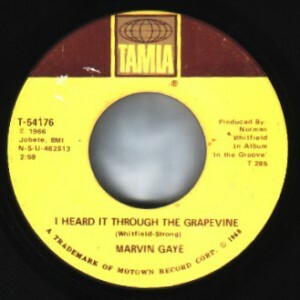 Marvin Gaye’s Grapevine was placed on his 1968 album In the Groove and released as a single in October 1968. It was one of the biggest hit single on the Motown label (Tamla). Rolling Stone magazine placed Marvin Gaye’s Grapevine at #81 on its list of The 500 Greatest Songs of All Time. 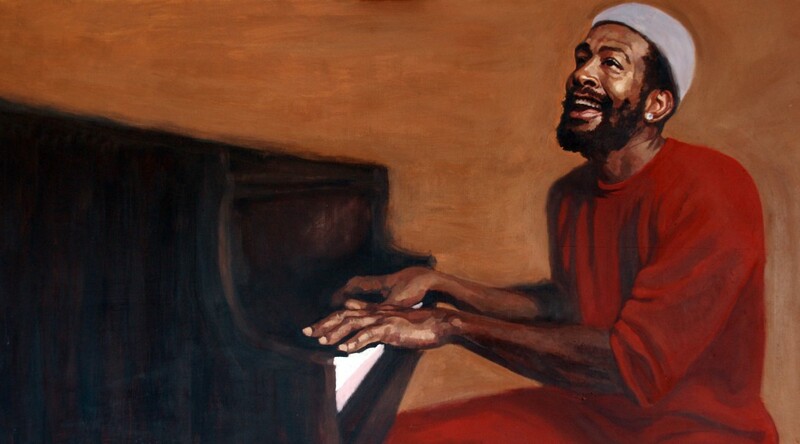 Marvin Gaye’s Grapevine was also inducted to the Grammy Hall of Fame for “historical, artistic and significant” value. Creedence Clearwater Revival did not perform the song at the Woodstock Music and Art Fair, but did have a hit with it on their 1970 Cosmo’s Factory album. …or Levi’s “Launderette” commercial featuring Nick Kamen. Or simply mashed with another song as with Queen Latifah in Paper. Whatever the year, “I Heard It through the Grapevine” is one hell of a song. Happy Anniversary to all the Motown Grapevines. Songfact.com has a interesting piece about the songs varied history.